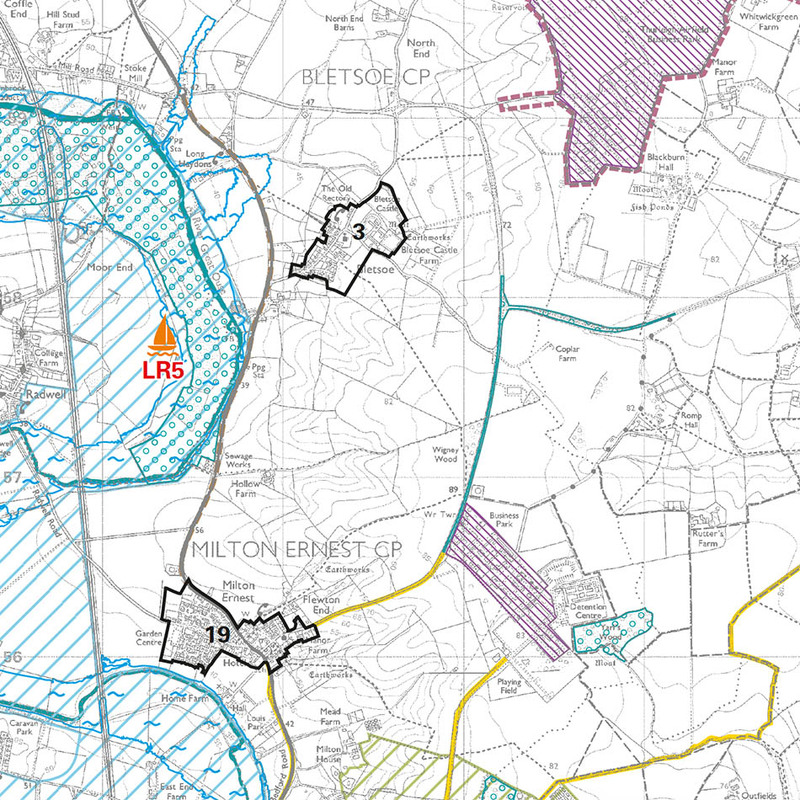 A new Policies map to reflect changes brought in by the adoption of the Allocations and Designations Local Plan. Printed maps consisting of 2 large sheets 1200 x 940 mm at 1:35,000 and 1:10,000 scale, 13 x A3 sized sheets and 27 x A4 sized sheets at 1:2,500 scale. 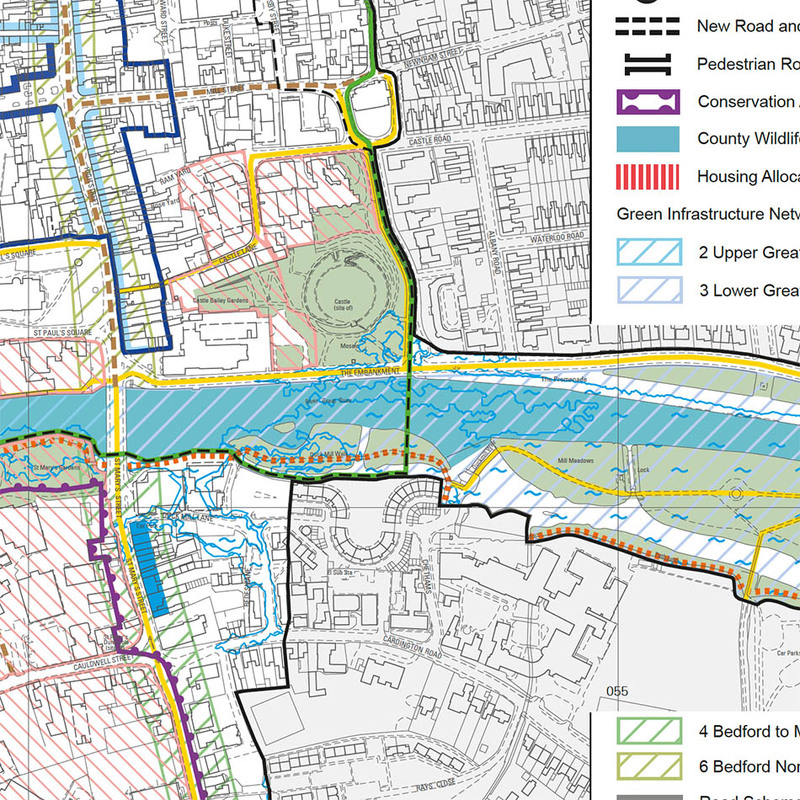 A fully interactive web-based based Policies Map with links to Local Plan, Bedford Town Centre Area Action Plan, Core Strategy and Rural Issues Plan, Allocations and Designations Local Plan 2013.